Meanwhile, 16 of 18 disqualified MLAs had turned up at the residence of RK Nagar MLA TTV Dhinakaran. 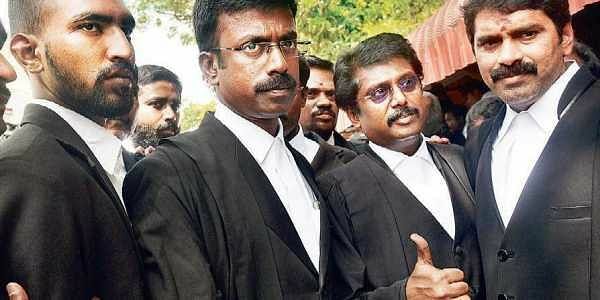 CHENNAI: The split verdict of the Madras High Court Bench on the disqualification of 18 AIADMK MLAs, pronounced Thursday, has come as a breather for the government headed by Chief Minister Edappadi K Palaniswami as a floor test cannot be conducted until a third judge hears the case and delivers a verdict. This may take a few more weeks, at the least. While Chief Justice Indira Banerjee, presiding over the bench, upheld Assembly Speaker P Dhanapal’s orders dated September 18, 2017 disqualifying the MLAs, her companion judge, M Sundar, held in the contrary. The verdict of the third judge, which would be considered the final decision of the court, will decide the fate of the AIADMK government. The 18 MLAs were disqualified based on a petition from the AIADMK whip following their meeting with then acting Governor C Vidyasagar Rao in which they made representations withdrawing support to the CM. All 18 still seem to support TTV Dhinakaran, the AIADMK rebel who formed his own party after being expelled, winning the RK Nagar Assembly bypoll as an independent. Most of the MLAs were at his house Thursday, stating they only wanted a change in CM. Only Dhinakaran was vocal in his demand that the present government must fall. Dhinakaran may not realise his wish if the third judge sides with the CJ’s views. In that case, AIADMK will continue to enjoy a majority in Assembly as the 18 MLAs would lose their membership. From then, much would depend on the verdict of the fresh polls in these 18 seats. However, if the third judge sides with the view of Justice Sundar, then Edappadi would be forced to face a floor test for which he would require support of at least a few of these 18 MLAs. In view of the importance and urgency of the matter, the third judge will be named shortly, it is learnt. Since the CJ was part of the the bench which gave the split verdict, the task of selecting the third judge has been left to Justice Huluvadi G Ramesh, the No. 2 judge in the HC.